Let’s be honest—one of the best parts about being in school is living at home, having your mom cook you meals and do your laundry, leaving you nothing but time to go to keggers and discover yourself via pretentious arthouse films and books by dead philosophers. Now, while my mom is still cooking me dinner and doing my laundry, I’m a bit of a special case. Anyway, soon the crippling debt of student loans and a sociology degree will weigh you down until you’ve paid it off only to be drowning in mortgage payments (this will probably get lighter as we go, I hope). I guess what I’m trying to say is—for those of us in the workforce whose summer vacation consists of timing your paid week off with a long weekend, and paying the 12-year old kid down the street a wildly unfair rate to do your chores— you should enjoy it while it lasts. A new school year means new sneakers, a new backpack, a sick new ‘fit (I believe that’s what the kids are calling it these days), and, if you’re lucky, a new car. That’s right, a new car. If you aren’t using the knowledge accrued in your Debate & Philosophy class to wrangle your parents into buying you a new Ford for back to school, what are you using it for? Now, I know it’s a pretty big ask, but hear us out: you’re going to need something compact, great on gas, and safe, if your head is going to be in the books all year long.  And that’s where Team Ford comes in. We’ve got the perfect vehicles for students heading back to school. Maybe your new car isn’t a “new” car. Maybe your parents are the types of inhuman monsters that will only buy you a used vehicle. Luckily for you, Team Ford has an incredible selection of used and certified pre-owned vehicles. Why read another book report, when you can read a fascinating CARPROOF report? Just think of it like buying used books—except the interiors of our used vehicles aren’t covered in illegible handwriting! Maybe your new car is a new car. Show off to all the liberal arts majors in their Che Guevara tee-shirts with one of Ford’s hybrid or electric models, while saving on gas (savings which you can then spend on, oh I don’t know, tuition). Saving the environment has never been so smart or stylish as it has been with the Ford Fusion hybrid. Not interested in impressing the kids playing frisbee from dawn ‘til dusk? Well, you’ll be the envy of all your engineering friends when you tell them about the incredibly fuel-efficient EcoBoost engine in your Mustang or Escape. No matter which vehicle you choose, you’re going to want to protect your investment (in your vehicle, and yourself) with a Co-Pilot360™ suite-equipped Ford. Automatic Emergency Braking with Pedestrian Detection will help you from running over any nerds on campus with their nose in a book, and a host of other safety features will ensure that any accidents you have on campus are relegated to that time you fell asleep in the library after studying for 12 straight hours with no bathroom breaks. If there’s a better time to buy a new Ford than back to school, I want you to prove it to me in a twelve-page, single-spaced paper—and don’t forget to cite your sources! In the meantime, I believe we’ve laid out a compelling argument as to why you need a new vehicle for the new school year. Graduating this year? Do a little research on our First Time Buyer Graduate program. If you’re done studying our lineup, give us a call at Team Ford and get a test drive on the books. We’re confident all of our Ford vehicles will get a passing grade.